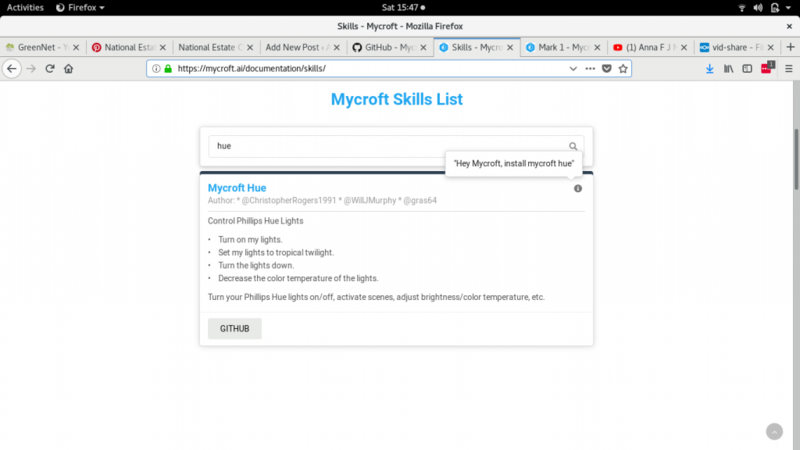 To install skills you are supposed to pick a skill from this list and ask Mycroft to install it saying “Hey Mycroft install XYZ” (there is a hint of what to say in the little i icon). However, I don’t seem to be able to get this to work – I don’t think it’s just my accent, I have tried it on lots of skills and have similar issues, though this one is especially funny. The first thing to do is enable SSH – to do this hold down his button until the menu appears, then twist the button till you find SSH. Then push the button down and then twist again till you see Allow, and press down again. 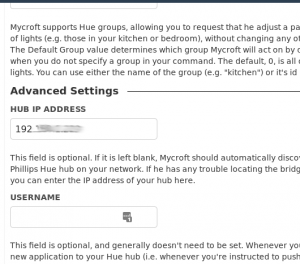 Mycroft will say “SSH Logins are now allowed” – so cute. Now you need your pen and paper! 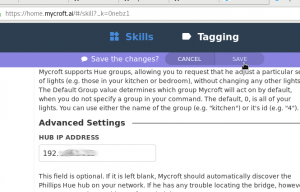 Ask him “Hey Mycroft, whats your IP address” and write down what he tells you. You need a Terminal – In Linux just search for your terminal in apps, in Windows you need PuTTy or similar. Hit enter, you should get a password prompt. 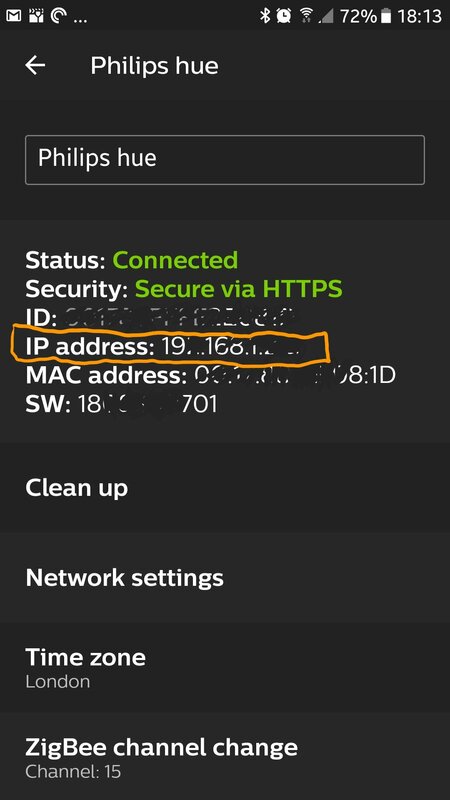 If you get nothing, then the IP address is probably wrong (check again). 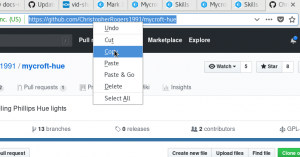 The default password is simply mycroft (all lower case) – type this and then hit enter. Now you need to change that default password to make him secure. Type in passwd (password with no or in word) and hit enter. You will need to enter the current password and then your new one twice. 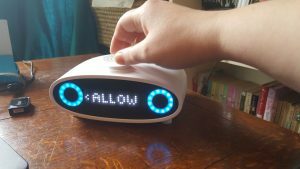 Make sure it’s a good password, remember, Mycroft is connected to the internet so anyone in the world can try and access him. I advise using a label-maker to stick the password to him physically, or use a password manager to remember it – I think forgetting it would be a big problem. So, basically sudo means “make me the boss” then msm is Mycroft Skills Manager, install means to add this skill, and then you want the URL of the software (from github). Go to the list of skills here. 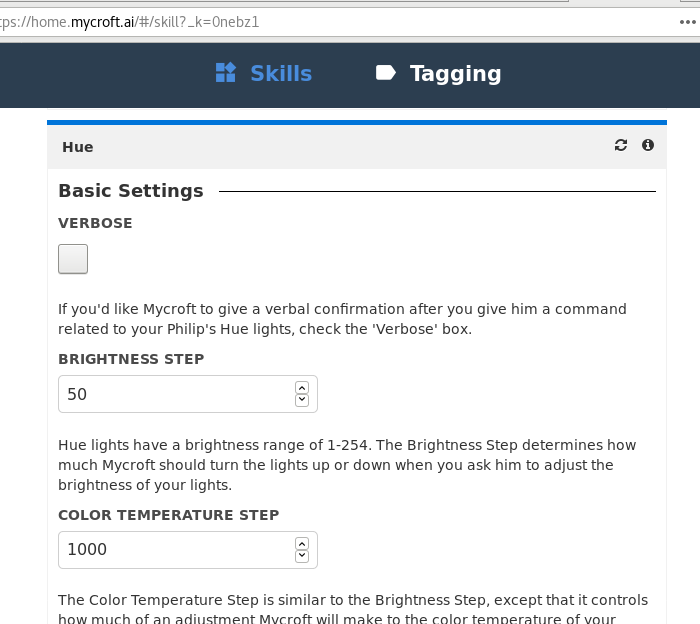 Then search for Hue, when you have found the right skill, click the link to Github (a place people store software code). Then you just need to copy the url of the git repository. then you can paste in the URL, usually this is control + Shift + v but you might also find paste in a right click menu. hit enter and the software will now install. This is what you should see! After this is done, say “Hey Mycroft, turn off the lights” – if he can find your Hue bridge he will ask you to push the bridge button. If he can’t find the bridge he will tell you so, and that he doesn’t know the IP address. 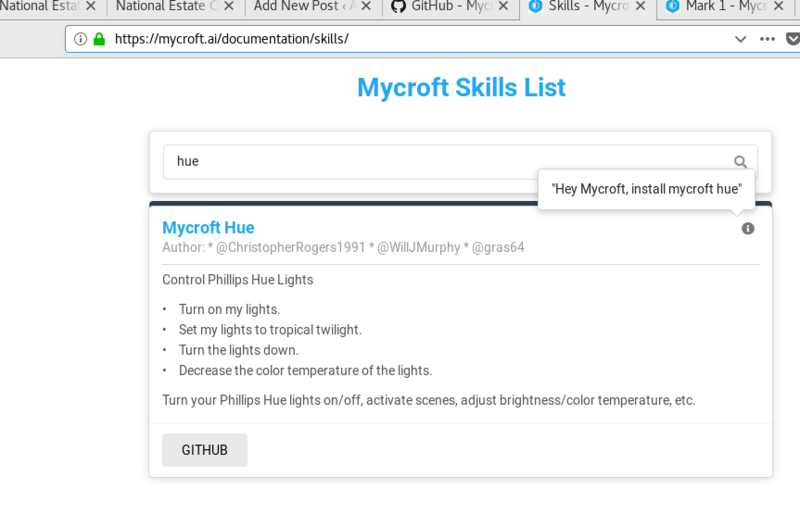 In that case go to https://home.mycroft.ai/#/skill – you need to be logged in – this is a list of all the skills on your Mycroft which allows you to edit their settings. 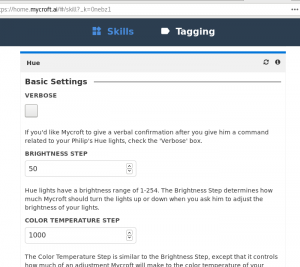 Scroll down till you find the hue skill. 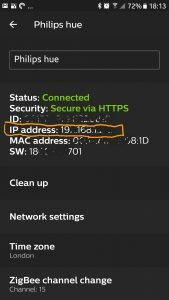 Then you need to find your hue bridge IP address. To do this open the hue app on your phone, click the settings button (currently bottom right) then click hue bridges – you should see a list, probably just with one bridge. 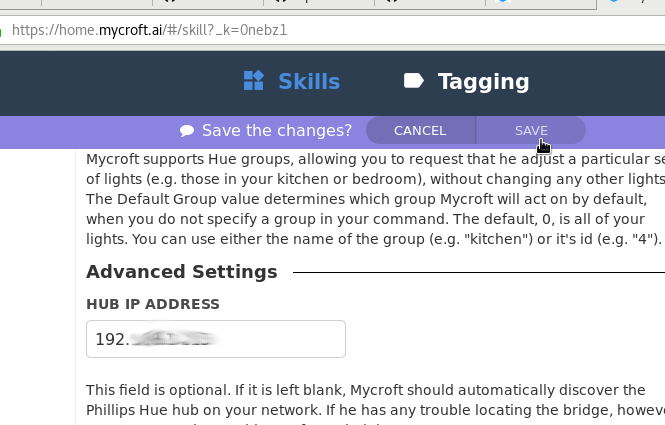 Click the i info button, and you should see all the info about your hue bridge, including the all important ip address. 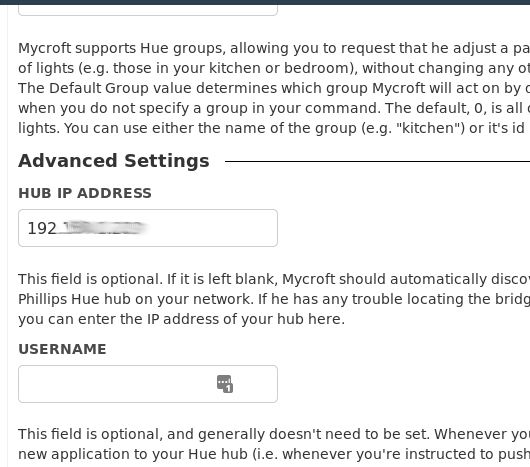 You need to enter this IP address in the mycroft hue settings that you found a moment ago, scroll down a little and type in the box. Once you have done this, a purple “save” bar will appear across the top of the screen – click save. Now try asking Mycroft to turn on the lights again! 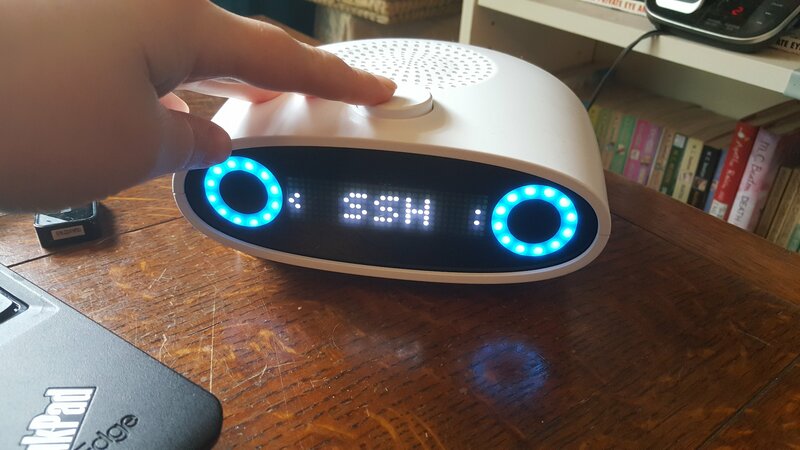 He will ask you to push the button on your Hue bridge, then confirm that he is connected. 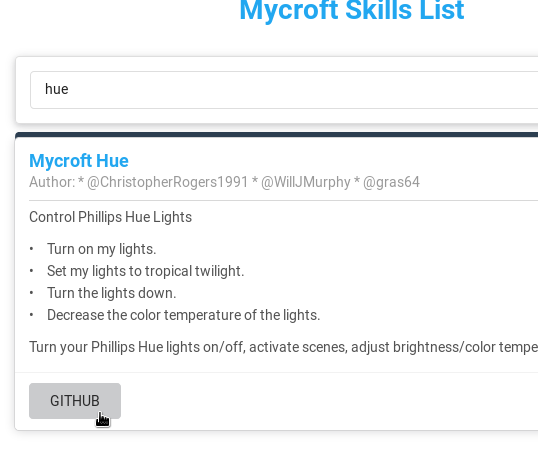 Then you have control of your lights through Mycroft.